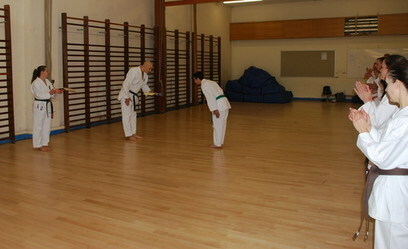 On 05/09/09 a club grading was held at Royds Hall sports centre. 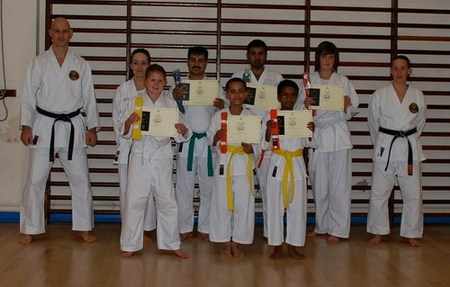 Seven people took the grading and all were successful. well done new yellow belt Kate, orange belts - Rithvik, Tyler & Eve. Green Belt - Phil, Blue belt - Hussaein and 2nd kyu brown belt - Jo.